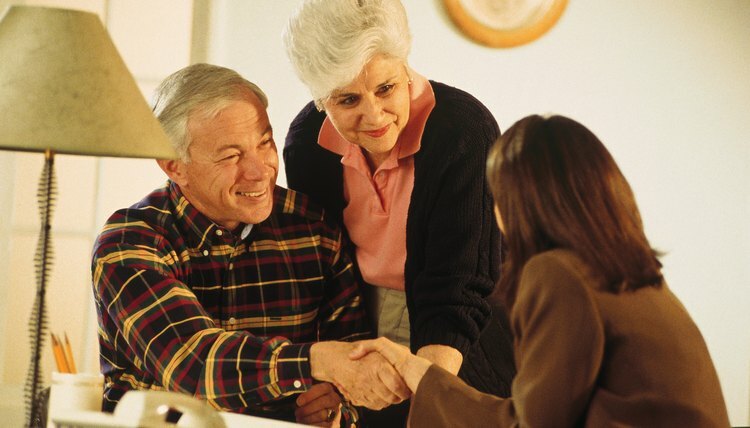 One of the advantages of a living trust is that it simplifies the inheritance process by bypassing probate. Your living trust does not take the place of a will. However, your will should transfer assets into the trust that you did not explicitly spell out in the trust document. If you do need to make changes to your trust, such as adding a co-trustee, attach an amendment to the document. You may consult an attorney to prepare the amendment for you, or you can do it yourself. Create an amendment to your trust. Type the amendment so that it specifically states the trustee that you wish to add. Indicate whether you wish to remove an existing trustee, in addition to naming a new one. Specify that the trustee you are adding is a co-trustee, rather than a successor trustee. Add any other changes you wish to make to your trust. Use the amendment to list new beneficiaries, remove existing beneficiaries or change the distribution of your assets. If the only change you wish to make involves your trustees, skip this step. Bring the amendment to a public notary. If you created the original trust document with a spouse, notarize both signatures. Attach the signed, notarized amendment to the trust document. Never detach pages from the original trust document to place the amendment inside it; simply attach the amendment to the document. Nolo: How do I Amend My Living Trust? Chase, Catherine. "How to Amend a Trust to Add a Co-Trustee." , https://legalbeagle.com/12003910-amend-trust-add-cotrustee.html. Accessed 21 April 2019.